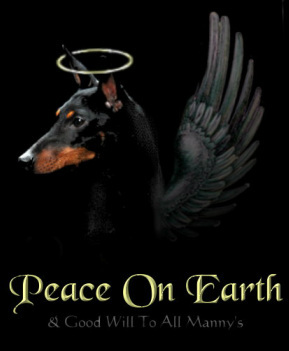 We would like to extend warm wishes to all of our friends and fellow dog lovers. 2007 was a quiet year for us as we didn't attend many shows, but we are very proud of the accomplishments of those of our dogs who did! #4 Toy Dog in Canada!! Brita's first year out on the campaign trail went very well! 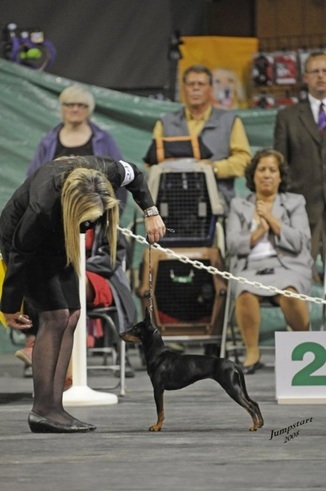 In addition to earning 2 more All-Breed Best In Shows, Brita was awarded a lovely Best In Toy Specialty win under Mrs. Michelle Billings, a Reserve Best In Show and 59 group placements, including 32 Group 1sts! She finished the year as the #5 Toy Dog in Canada, marking the 4th year in a row we have had a dog finish in the Toy Group Top 10 in Canada. Our thanks to Brita's co-owner and handler, Joy Henderson. Almost ready to trial in Agility! Indy had a hectic year! We were STUNNED to see that, after only 5 months of showing in the US (January to May), he still finished the year as the #3 TMT All Breed! Many thanks to his U.S. co-owner Jim Burrows (and Pat!) and to his handler there, Aaron Wilkerson, for taking such good care of him. 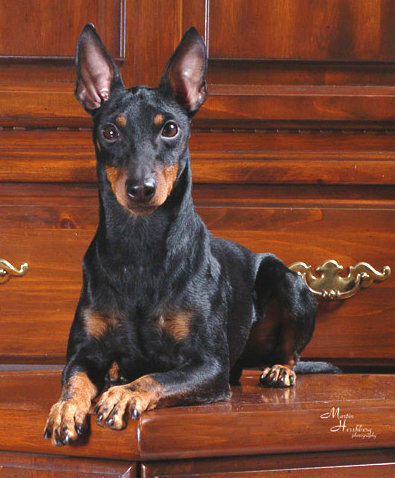 Upon his return, he wowed us with a Best In Toy Specialty win over Canada's #1 and #5 Dogs All-Breeds for 2006 (#1 and #2 Toy Dogs in 2007, respectively). He showed like a trooper and it was a great win, made better only because his daughter won a large Toy Specialty on the West coast on the same weekend. Indy has now entered semi-retirement -- soon to be permanent -- and loves to lounge contentedly on Amanda's bed. 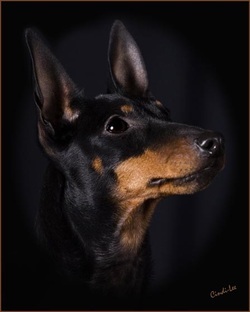 He is also training seriously for agility with his partner in crime, Felicia McKeen. As soon as he masters the teeter-totter they'll be set to go (and go, and go)! 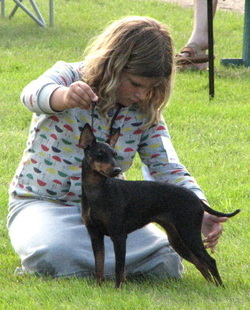 Solo finished 2007 as the #5 Toy Manchester Terrier in Canada. Her wins included several Group 1sts, some of which were earned by her partern in crime, Sydney. Congratulations girls! Hannah ventured north of the border for a few weeks this year, easily earning her Canadian Championship and picking up several nice group placements and wins along the way.